BYOD (bring your own device) has gone from just a trend to a reality in schools and entire districts all over the United States. With BYOD student’s and teacher’s personal devices like smartphones, tablets, laptops, etc. are used in the classroom, and at home for learning. Proper BYOD network design enhances education by making learning more collaborative and exciting than ever before along with a plethora of other benefits. Check out this list and you will see why BYOD is the answer for bringing mobility to the classroom. Quick and easy internet access for everyone. Students can take their mobile learning tool and use it all throughout campus instead of being confined to a desk only for access. Encourages independent and self-sufficient learning. Easy access to school communication systems such as email, schedules, calendars, shared documents, etc. Promotes reading. Students are more likely to read something on a tablet than in a textbook. Allows more personalized learning. Students can have lessons more customized to their level. Students are more prepared for the technological skills they will need for their future careers. Provides access to students with Special Educational Needs. Allows them to use touch screen devices to increase engagement. Allows students to develop their digital literacy skills. Provides students’ access to the most updated information available through ebooks/digital textbooks. Encourages collaboration and teamwork. Student can move around the room and work in groups or remotely from home. Builds students analysis skills. Instead of asking the teacher they learn to search and problem solve on their own with the mobile devices as their tool to accessing that knowledge. Encourages communication not only among students, but also between students and teachers as well. Provides innovative learning opportunities such as virtual field trips and speaking with experts around the world through Skype. Students are comfortable using their own devices so no training is necessary, which might not be the case with school-owned devices. School doesn’t have to worry about technology upgrades and maintenance costs. Enable the creation and sharing of multi-media student work not only with teachers, but also other students as well as the world. Is more eco-friendly by reducing reliance and consumption of paper. Gives educators more variety of learning and thinking styles to choose from. With the students using their own mobile devices as classroom technology schools can save some serious cash on technology costs. Helps students stay more organized. With everything all in one devices, students don’t have to lug around text books, big binders, notebooks, and worksheets that can easily be misplaced. 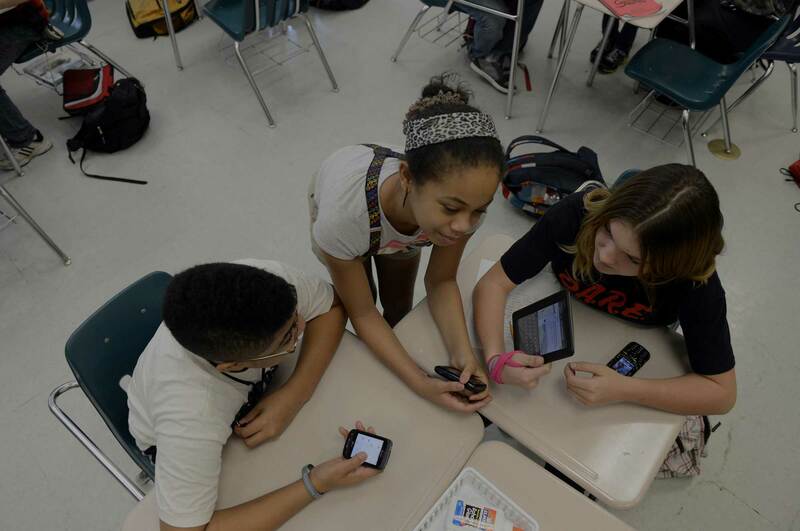 BYOD is a great solution for schools wanting to provide their students mobility in school. Of course there are other options to do so as well like 1-to-1, which is pricier so it may not be an option for many of today’s cash strapped schools. The bottom line is there’s no one-size-fits-all method to bringing mobile devices on school wireless networks. 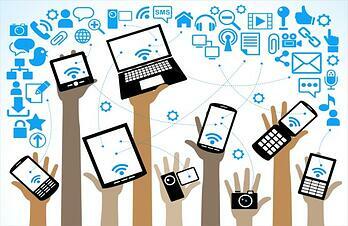 Even each BYOD solution will be built differently to suit the schools individual needs. No matter the approach, it’s important to keep education relevant and effective. The only way to do so in today’s society is integrate technology into the classroom. If your school is interested in implementing a BYOD program, you can contact us here for a Free BYOD Readiness Consultation, to help get any of your questions answered and give you an idea of how ready your school is for BYOD integration. Also check out our BYOD Resource Kit for more great information. Good luck!